Earlier in the month IHG’s CEO said that the company was looking at acquiring a small, asset light luxury hotel brand so that they could increase their footprint in the luxury segment, where they’re currently quite weak. There were rumors that they were in initial discussions with Belmond. That would certainly have made sense in terms of them being in the luxury segment, but it seemed unlikely since Belmond owns most of their hotels, so it’s not an asset-light company. Not surprisingly, it seems they were talking about another brand. IHG has announced today that they’re acquiring a 51% stake in Regent Hotels for $39 million in cash, with the right to acquire the remaining 49% stake in a phased manner from 2026. The transaction is expected to close in the second quarter of 2018, and IHG will be paying $13 million in three phases — the first payment will be when the deal closes, the second in 2021, and the third in 2024. IHG plans to bring Regent into its brand portfolio at the top end of the luxury segment. Currently there are only six Regent properties, though IHG hopes to grow the Regent footprint to 40 hotels in key global gateways over the long term. Regent has set the benchmark for luxury hotels globally? Really? 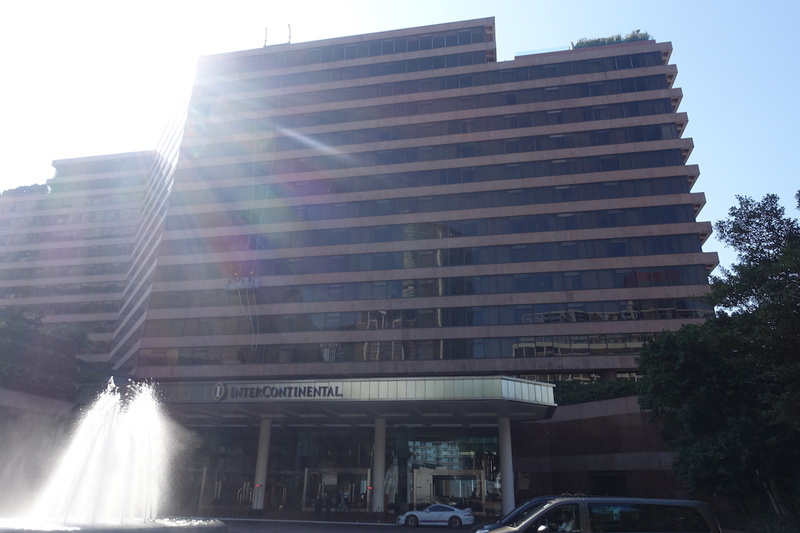 One other thing that’s interesting is what IHG is doing with the InterContinental Hong Kong. The InterContinental Hong Kong is IHG’s flagship property, and it’s closing for a full overhaul. The hotel will be closing in early 2020, and in early 2021 the InterContinental Hong Kong will reopen as a Regent. What makes this especially interesting is that the hotel first opened in 1980 as a Regent, before being sold and rebranded as an InterContinental in 2001. So the hotel will once again be going back to its original branding. I imagine we’ll learn within the next few months if Regent will be fully integrated into IHG Rewards Club. I imagine so, and if so, I wonder if the awesome anniversary free night certificate offered with the IHG® Rewards Club Premier Credit Card will be valid at their hotels. IHG certainly has some room for growth in the luxury sector, so the acquisition of Regent makes sense. This is a cheap transaction (at least by IHG’s standards), and Regent perfectly fits what they were looking for (an asset light luxury hotel company). However, I also can’t say I’m terribly excited about their six current hotels, and I’m also not sure they’re considerably better than InterContinental’s current top hotels. I’m curious what this means for the future of the InterContinental brand, which has historically been IHG’s highest end brand. Will future newly built luxury hotels mostly have the Regent name, making InterContinental the second tier brand, or will they be developed alongside one another? What do you think of IHG acquiring a 51% stake in Regent? The Interconti started its life as a Regent. @ Gernot — Hadn’t realized that, thanks. Post updated to reflect that. Yes they did. Regent was the first in the world to introduce five-fixture bathrooms (bathtub, separate shower, sink(s), bidet, and w/c). Moreover, Regent was the first to conceptualise all-villa resorts. The Four Seasons in Jimbaran, Bali was the first resort to have this concept, and was due to open as a Regent, but became Four Seasons soon after their acquirement of Regent. And do note that the InterContinental Hong Kong was previously Regent’s flagship hotel, known as the best hotel in the world in the 1980s. I think the Intercontinental Hong Kong was originally called the Regent back in the 90s? The Regent Singapore is actually a very nice, old-world kind of a hotel. @ Ben — The IC HK is THE flagship property of IHG? I wasn’t aware of that, and I’m not sure that would be my choice of a flagship hotel. I hope Regent is brought into the Royal Ambassador program, although I doubt it. The Regent in Berlin is excellent. Used to be a FourSeason property…but have stayed at the Regent in Beijing and did not like it at all….never again. Let’s hope the takeover will keep the Regent Berlin’s unique charm. @Lucky – do you know if we will recieve IHG points for staying with Regent once the 51% takeover is complete? @ Max — Nothing official has been announced. I would imagine it will be integrated into IHG Rewards Club, though nothing has been announced yet. It took a few years after IHG’s acquisition of Kimpton for those hotels to be folded into the IHG loyalty program, so I would not expect a quicker transition for Regent stays. Entirely speculative on my part, of course. Specialty since it’s switching back. 2. This is the second time you’re referring to the upcoming major renovation in this hotel and ignoring the main reason that led to it. The flagship Rosewood is opening in the brand new 70 floor building next door, and it is going to take a lot of business from the Peninsula that is 200 meters away and smash the intercon unless it gets it act together. Just search “Victoria Dockside’ to see how close and massive the new complex will be. Side note, Rosewood is owned and managed by the Daughter of CTF boss, the largest jeweler in the world, and the developer of Victoria Dockside. Will be interesting in Kowloon Side. The Regent Singapore is actually run by Four Seasons (confusingly), which would seem to me like they only have five (5) hotels, then. The Beverly Wilshire was also a Regent property before it became Four Seasons. Have the dates changed again for the IC Hong Kong’s renovation? I could have sworn it was scheduled for Q1 2019 and reopening in 2020. 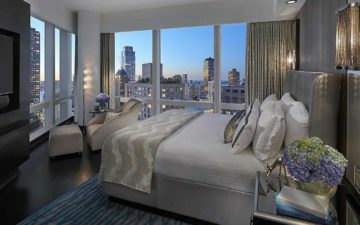 Regent vs St. Regis—zero room for branding confusion in luxury hotel names. funny thing about InterCon HKG is that it *was* a Regent that got re-flagged, and soon will come full circle once again. Although i never stayed there, it has a special place in my memory because that was the hotel party where I crossed over to Year 2000. Four Seasons acquired Regent in the early/mid-1990s. One might be surprised at the number of current Four Seasons properties that started out as Regent. Regent was a world-class luxury hotel group, and in the 1980s/1990s their service levels rivaled Mandarin Oriental in some of the cities where they competed (e.g., Bangkok, Hong Kong, LA; in Bangkok I would stay at the MO or the Regent, depending where in the city I needed to be). The Regent brand has waned significantly in the past 20 years in terms of properties (and I hear in quality, however I’ve not stayed at a Regent since 1998 when I stayed at the Regent HK). Finally, as Hong Konger notes above, Rosewood is entering HK; this will create even additional competition in the luxury market there. I don’t see Rosewood covered here much, but they are a top-notch group. I used to stay at the Seiyo Ginza in Tokyo (now closed) and the Lanesborough in London until Starwood took it over and, frankly, ruined it (for me). Rosewood opened the Hotel Bel Air originally (not sure who has it now); currently the Carlyle in Manhattan is a Rosewood. You should consider looking into Rosewood, you might be pleasantly surprised, though I don’t believe they have any sort of loyalty/points program. This used to be a great brand, maybe 20 years ago. But they made no effort, IIRC, to set up a loyalty program and consequently have been squeezed by the bigger players. I think this makes sense for IHG and recognises that the IC portfolio is not big enough ( in some cases not good enough) to compete in that luxury space. One suspects this is the first of a number of such acquisitions. Good move. Ben, what’s your definition of flagship, be it hotel or aircraft for an airline? I’ve never stayed at a Regent myself. Altogether, it makes a lot of sense for IHG to finally move into the true luxury space, and buying a small brand and building it out is probably easier than launching their own. As I mentioned in the comments to the post on IHG potentially buying Belmond, this follows Accor’s recent moves in buying Fairmont-Raffles and Banyan Tree. That said, as others have noted, Regent has a very small portfolio and is largely focused in Asia. It is not comparable to the scale or brand value of Fairmont-Raffles/Banyan Tree. So, I would expect IHG to still be on the lookout for additional luxury brand acquisitions. There are plenty out there! Regent Singapore -and Regent globally- has always been a terribly confusing brand from a positioning standpoint. The name is great so credit to IHG for getting control of this company at such a steal. But the Regent in Singapore has absolutely superb F&B. Manhattan Bar is one of the best cocktail joints in Singapore and is relatively new. The Italian buffet restaurant on the 3rd floor (or maybe 4th? can’t remember) has one of the best weekend brunches in Singapore in my opinion. Great italian food. Old world hotel, but prime location and known to be a good yet dated property. Also if anyone stays there just next to it is Dan Ryan’s if you have a hankering for really good American fare. @Justin – I think Banyan Tree and Accor was a strategic partnership and not an equity stake? Wondering if Alila Hotels and Resorts and Aman could also be potential targets (Four Seasons going after Aman could make some sense if they wanted to move into the boutique premium hotel arena). @CR: Thank you for the clarification. I stand corrected. It is a strategic partnership though Accor did make a SGD24mn investment worth a 5% equity stake in Banyan Tree. Need to point out that for Taipei’s elite and socialites Regent is The only true Luxury* hotel in the country. GH , Shang, W, LM (which in Taipei are all excellent). Maybe only The new MO will complete but it lacks in other aspects. * Luxury meaning Heritage, Old money, impeccable service and where children of Presidents regularly marry at. Does the chase free anniversary night apply to the “newly” acquired Kimpton hotels? @Jeff—Yes, you can now use you Chase free night at Kimpton hotels. You can even see availability and book these through the IHG app. Some properties may have blackout dates. One of the things that keeps me reading this site how the readership offers insight that other blogs can’t offer. Comments on this post are a perfect example. People from all over the world chime in with bits and pieces while offering their perspective on things—often with deep industry experience (airline and hospitality specifically). Well done Ben, and fellow readers. Regent Singapore Italian restaurant is Basilico. It is perfectly located between botanic gardens, US embassy, Orchard Road and Tanglin Mall. Great bedding, L’Occitane products, superb attention. The atrium is great too. Happy that my go-to hotel in SIN is oart of IHG. Regent certainly was a well known and respected luxury hotel brand in Australia in the 80s and 90s. The current Four Seasons in Sydney was built as a Regent and remained so until around 2000. In Melbourne the current Sofitel was also built as a Regent. Both were fabulous hotels in their day and at the same time the iconic Regent Hong Kong and Regent Beverly Wilshire were in the group and were just stunning (go back and watch Petty Woman again)! The Regent name then in Australia certainly stood for luxury while most would not have even known what a Four Seasons or St Regis was. Will be great to see it make a comeback and can’t wait to stay at the ‘Regent’ Hong Kong again!